My kids (like many kids I know) are happiest when the components of their meals are all separate from one another — protein, grains, fruit/vegetables are mixed together at your own risk. I prefer the exact opposite: easy one-pot meals that incorporate everything into one dish. I’m especially happy when the recipe calls for lots of vegetables, herbs, and spices (a nightmare to my children). 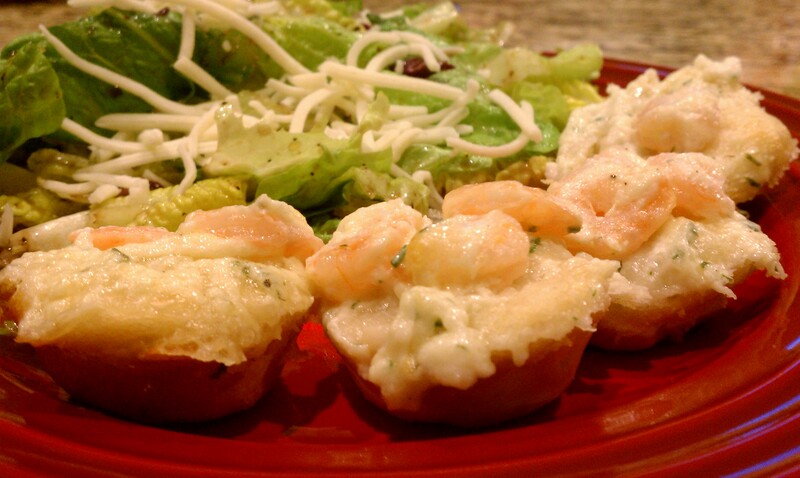 This kind of cooking makes for easy leftovers too. 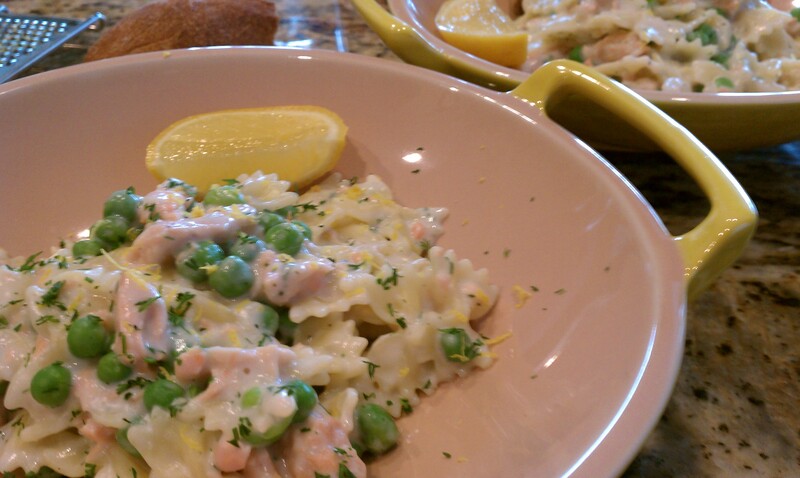 Every now and then I will see a recipe that incorporates everything in one dish but features ingredients the kids actually like to eat, and this Creamy Farfalle with Salmon and Peas from Self Magazine fit the bill. Well, I take that back — they would happily pass on the peas, but you can’t get everything you wish for. This meal turned out really well. The sauce was thick and creamy (save some of the starchy pasta water to thin it out if necessary) and the smell of cream cheese with fresh dill was fantastic. It was a mild, “kid-friendly” combination. For the pasta, I used Barilla’s “Piccolini” Mini Farfalle. When my girls first eyed their bowls, they made faces about all those peas, but after a bite of pasta I heard lots of, “Mmmm, this is actually pretty good”. The recipe could easily be modified to use cubed chicken or ham instead of salmon, and you could switch out the peas for another favorite veggie. I will definitely be keeping this one on hand for an easy one-dish meal that everyone at my table will eat.